Clean lines become the centrepiece of your bedroom with Franco. This bedding has been designed in the MADE Studio to give your space a classic and refined finish. 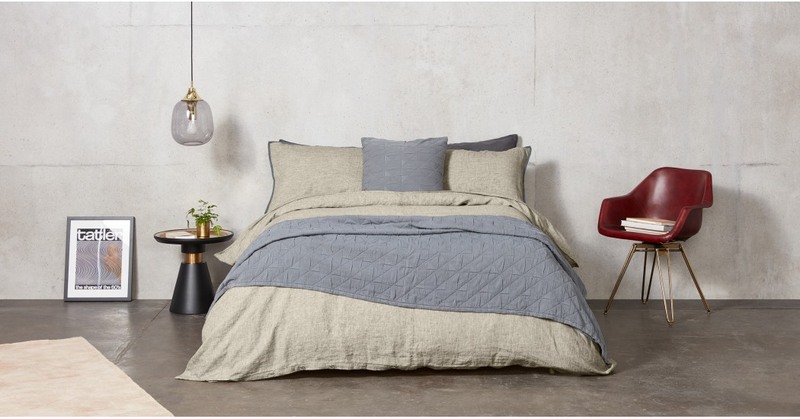 Luxe, low-key and detailed with a contrast hem, this double bed set combines industrial design with effortless style. With Franco, premium quality is the keyword. Crafted from 100% linen chambray, its luxe fabric makes the simple and sophisticated design shine.